"World of the Italian Opera"
"When we'll be given order by comrade Stalin!" 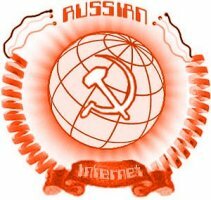 A big informational left site has both English and Russian versions. Learn all about Russia: its history, culture and language. RusLang offers a variety of language lessons and exercises, as well as general information about Russia - its population and geography. Also, you will find a dictionary, encoding converter, photo gallery, library and more. A lot of historical info. Mostly in russian.